Are you busy making holiday gifts in class for your students' families? 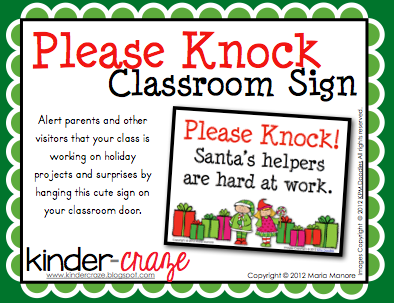 Give unsuspecting parents a warning that "top secret" surprises are happening in the classroom so they don't accidentally interrupt the fun with this cute classroom sign. 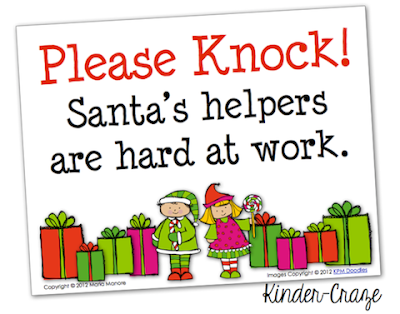 Simply hang on your door and continue to spread Christmas cheer! Stop by Kinder-Craze to grab your FREEBIE!